Learn to Sculpt this Gorgeous Face! Get Instant Access to this course and start watching seconds after you register! This eCourse is abridged from my Ball-Jointed Doll DVD set. Many people have been interested in how I sculpted Tasha's face, so I have created this new DVD that focuses on the face, ears, and hair. 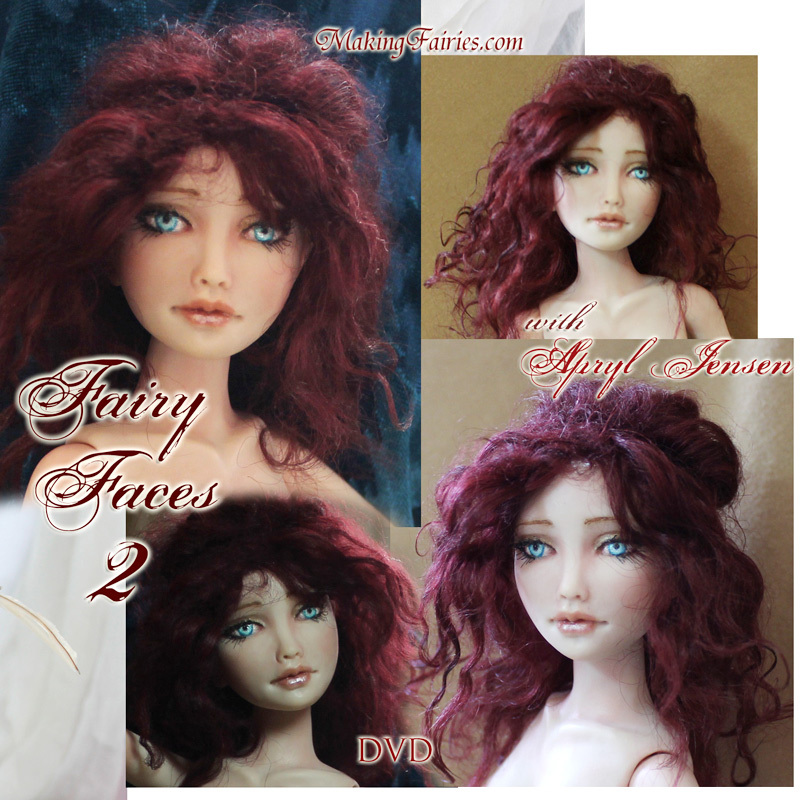 The techniques used in this video can be used on any stationary fairy sculpt or applied to a Ball-Jointed Doll. These eyes are drawn into the clay and then painted after she is baked, rather than inset eyes. This is a very valuable skill for you to have!